Your support transforms the Fairhill and St Hugh Neighborhoods and helps lift our residents out of poverty. A gift of $50 will help one elderly household receive social services so that they can age in place with the dignity they deserve. A gift of $100 will help one family receive comprehensive pre-purchase housing counseling services to achieve the American dream of homeownership. A gift of $500 will help two families receive mortgage foreclosure counseling and assistance to prevent them from becoming homeless. 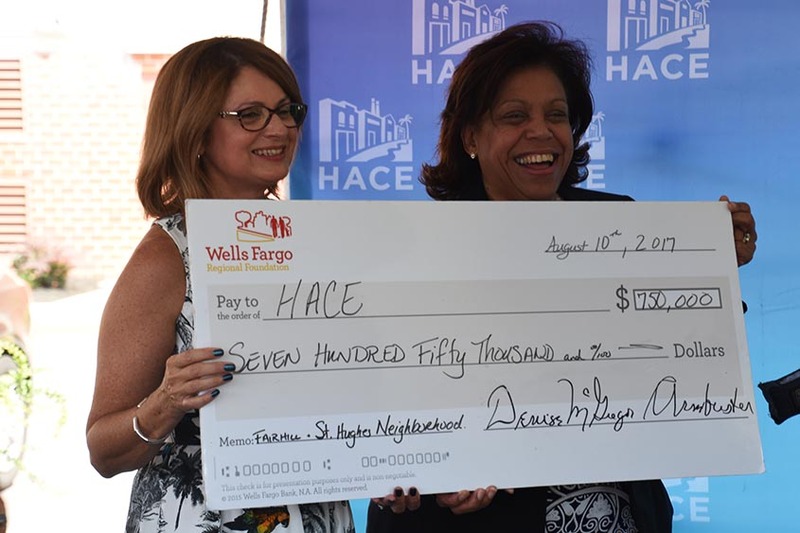 HACE is a nonprofit 501(c)(3) organization that is tax deductible and is registered as a Charitable Organization with the Department of State of the Commonwealth of Pennsylvania, Bureau of Corporations and Charitable Organizations under The Solicitation of Funds for Charitable Purposes Act, 10 P.S. 162.1 et seq. and complies with the United States Patriot Act. The official registration and financial information of HACE may be obtained from the Pennsylvania Department of State by calling toll-free, within Pennsylvania, 1-800-732-0999. Registration does not imply endorsement.